It doesn't take much to get me out for a pizza... It's one of my favourite foods and it's quite possibly the one thing I'm always in the mood for. 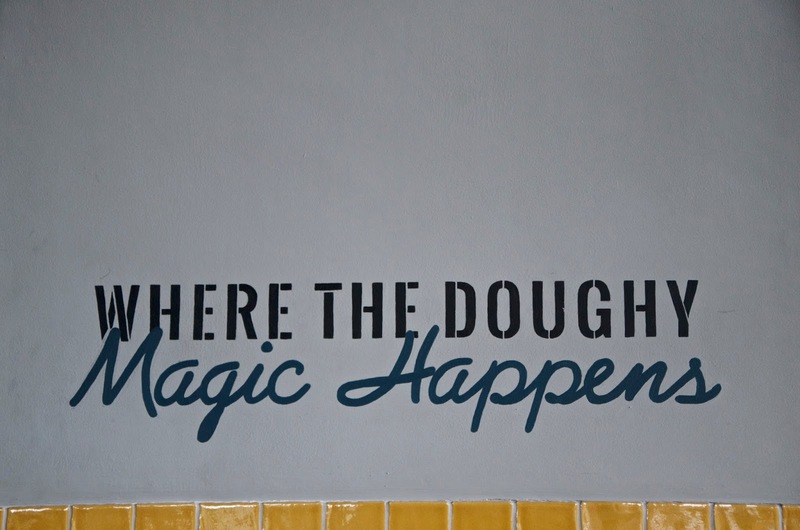 In fact, I'm waiting for a pizza right now as I type this since I'm working late and I can't resist the cheesy awesomeness while I write this review. The struggle is real! 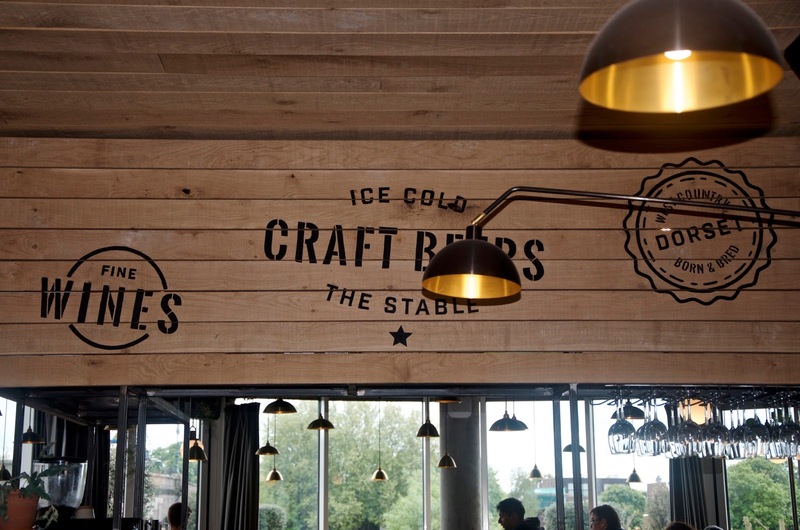 Taking a trip to Brentford for lunch at The Stable Kew Bridge to enjoy pizza, pies and cider sounded like the perfect bank holiday weekend activity and I was right! The Stable Kew Bridge is located just steps away from the Kew Bridge train station, down by the river in a beautiful building with plenty of outdoor seating for sunny day al fresco dining. 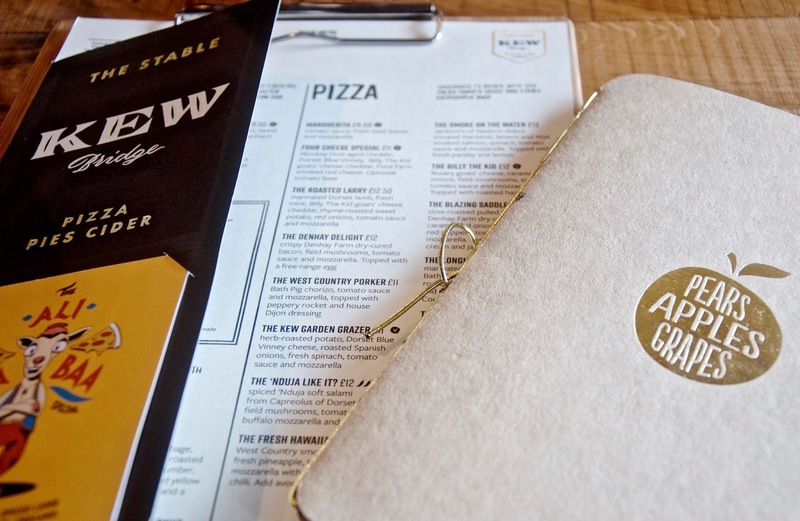 Offering over 60 varieties of cider alongside sourdough based pizzas with locally sourced toppings, The Stable is a great place to go for a fun meal out whether it be lunch or dinner. Bright and airy, The Stable is aesthetically interesting with murals on the walls and various ciders displayed everywhere you look. The sun, when it shows its face, beams in through floor to ceiling windows while diners relax at large tables and booths fit for a feast. 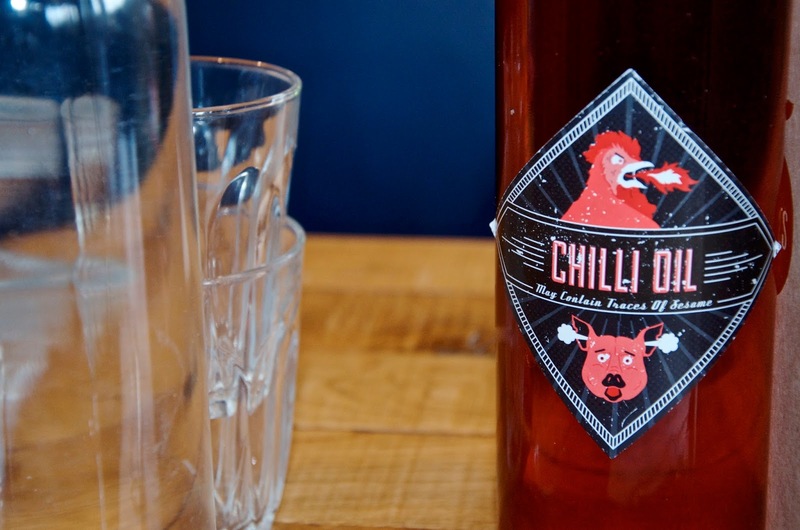 Chilli Oil tops the tables for those who love a little more spice and a pitcher of water with glasses is on the table almost as quickly as you're seated. Nothing is hidden at The Stable from what I can tell, making it all the more interesting... The cider taps are out in the open and if you're seated near the back, you can watch the cooks create and serve up delicious, hot pizzas. 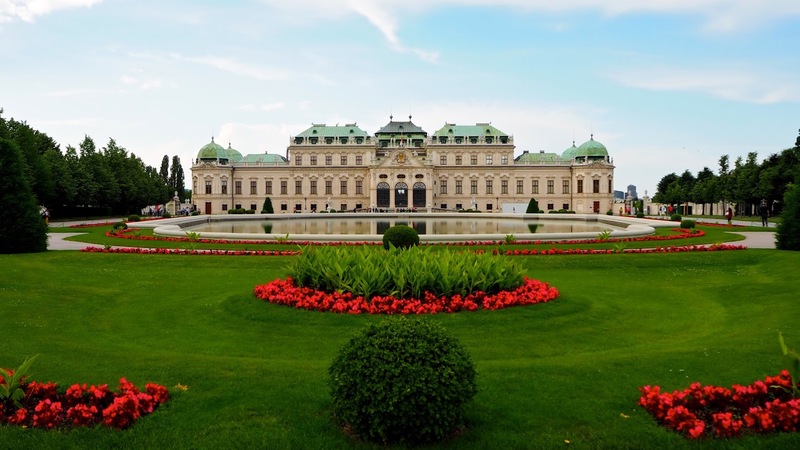 The environment invokes an air of casual, laid-back, low-key fun... In short, it's just my kind of place for a relaxed afternoon lunch. The best place to start when you visit The Stable is with a drink... 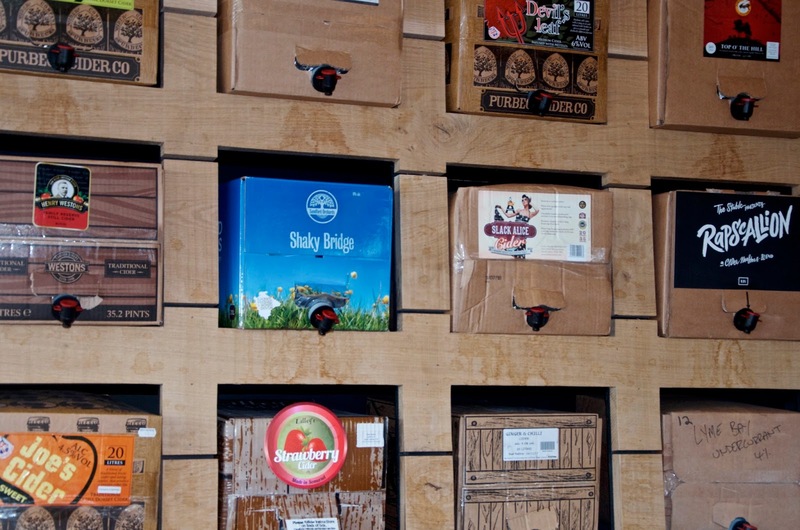 They're famous for their wide selection of ciders, but if that's not your fancy, no need to panic. 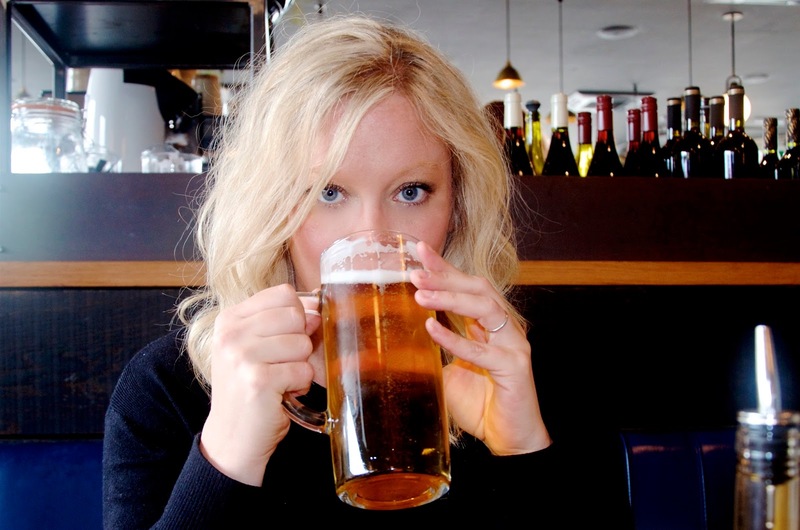 There are other options of course - I actually chose a beer since I'm not really a big cider drinker. 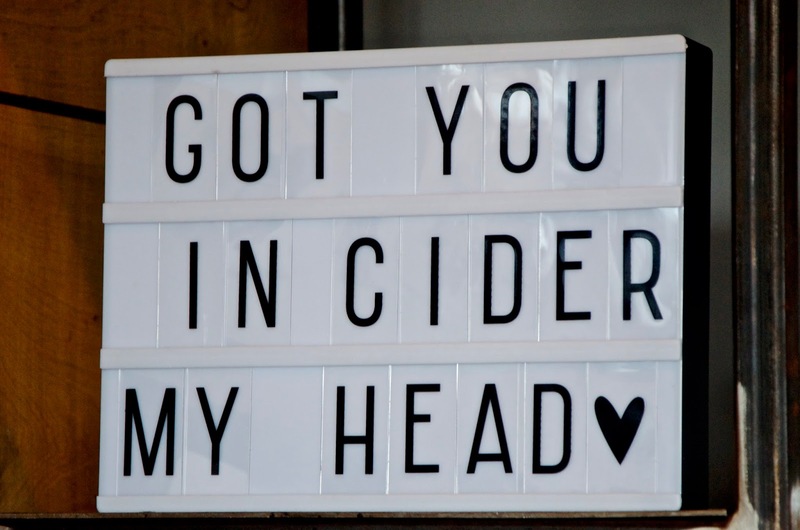 If you're feeling adventurous I highly recommend starting with the cider tasting board which includes 5 1/3 pint samples of cider to wet your whistle and help you find your favourite! 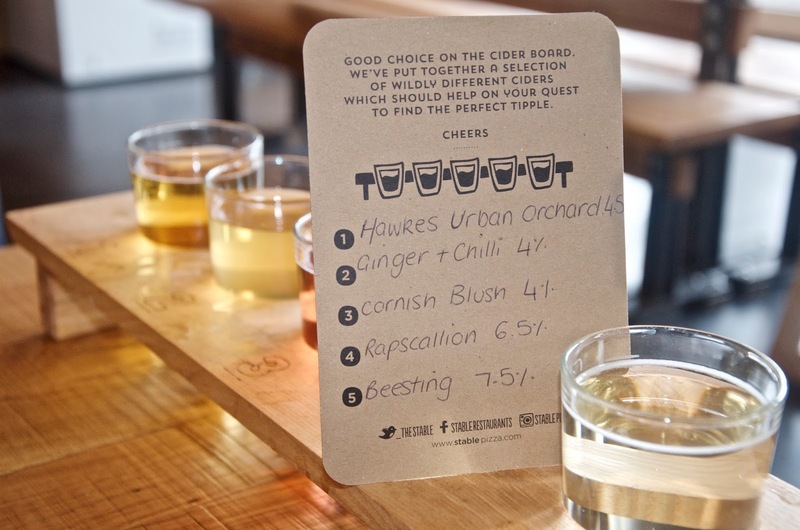 Even though I rarely drink cider, I found a few that are very enjoyable on the tasting board. My favourite was the Ginger & Chilli which had a smokey, spicy flavour that almost reminded me of a peaty whisky. While tasting the ciders, I learned that one of them is actually made by The Stable itself and that keeping cider is no easy feat. Since the ciders are actually kept in the dining area of the restaurant and quite fragile with regards to temperatures, it's important that the restaurant never gets too warm and every cider is tasted daily before serving to ensure its quality is on point. When my guest and I arrived at The Stable, we were quite hungry after an intense gym session, so we started with a Cheesy Garlic Bread to start and we were quite surprised by what was brought to the table. 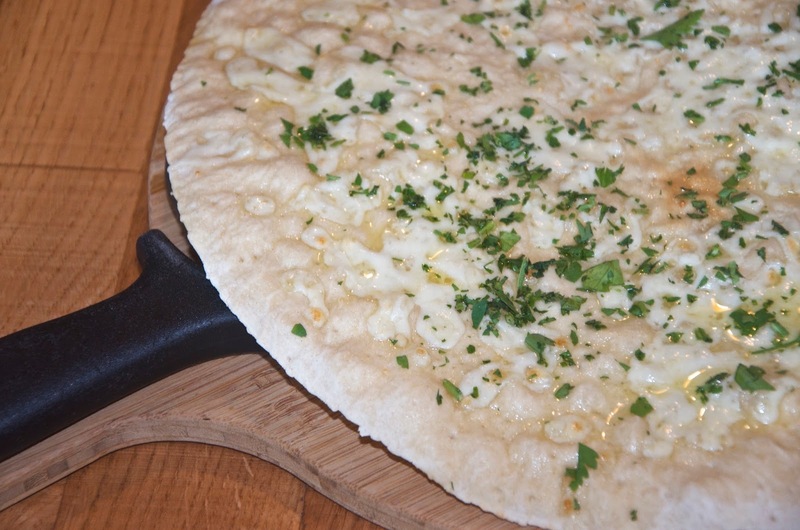 Rather than the thick, doughy stodge that usually comes to the table with such an order, we received a thin, crispy sourdough pizza base covered in garlic butter and fresh parsley with a light smattering of cheese. I knew with the first bite that we were in for a treat. The garlic bread was light and crispy, almost like a flatbread but with the perfect kick of garlic. In short, it was the perfect appetizer - just enough to whet our appetites for the main dishes to come without stuffing us beyond repair. There are of course other options including a selection of 3 sharing boards featuring West Country cured meats and cheeses. For our main dishes, there were options of course... 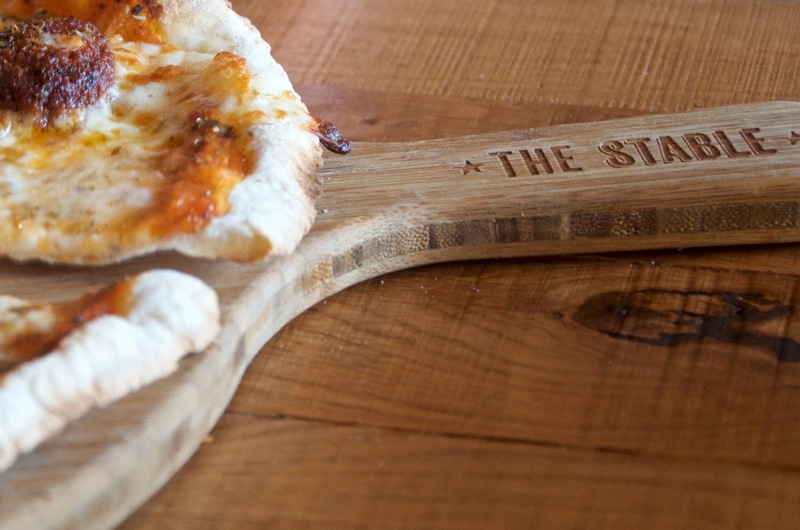 The Stable isn't just known for its pizza and cider - they also serve up a selection of enticing pies including The Steak Out, The Lamb Bam Boogie, The Wild Rooster, The Squish Squash and a seasonal option. Tempting though they may be, I couldn't resist the siren call of pizza, especially given the delicious options on the menu. They also have a range of salads available. In the end, my guest and I chose to order two different pizzas to share. I picked The Denhay Delight, with crispy Denhay Farm dry-cured bacon, tomato sauce and mozzarella topped with a free-range egg. 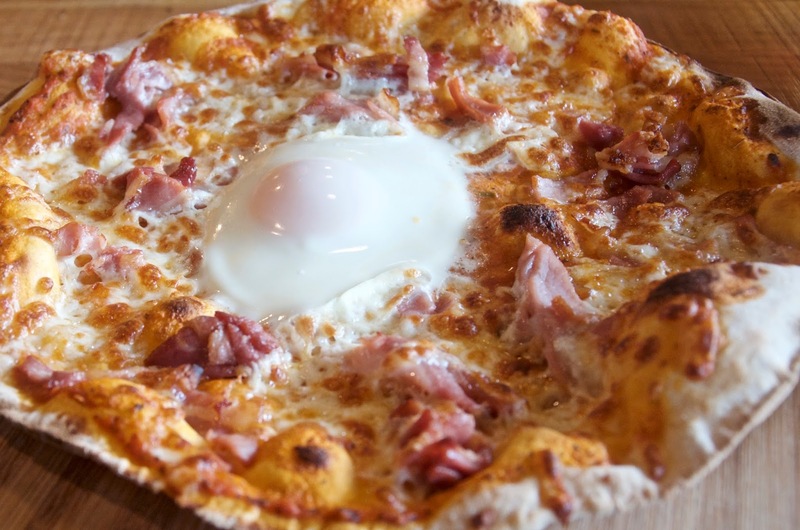 Yes, it's basically a bacon & eggs pizza and I've rarely had anything more delightfully indulgent... It was delicious and what really made it sing were the fresh, high quality toppings. The pizza normally comes with mushrooms, but once I explained my allergy the staff was more than happy to prepare our options without them. My guest chose the 'Nduja Like It? which featured 'Nduja soft salami from Capreolus of Dorset, tomato sauce, buffalo mozzarella and oregano. If you've never had 'Nduja before, it's like a spicy sausage, similar in taste and colour to chorizo, but much softer and it can be a lot spicier. It's so soft that it's more like a spread than a sausage, but it's one of my all-time favourite things. 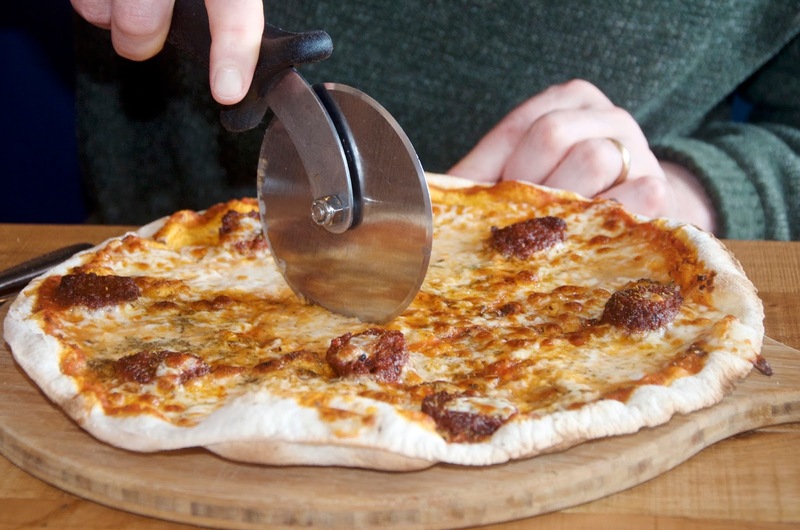 I often opt for whatever is available on a menu with 'Nduja from croquettes to pizza and the 'Nduja Like It? did not disappoint! It's cheesy, flavourful and adventurous, but not for the faint of heart as the sausage is quite spicy... If you're ordering this one, prepare to enjoy yourself immensely and order plenty of cold beer or cider to cool you off! While the pizzas are quite thin and crispy, they are incredibly filling. I managed to eat every bite of mine and part of my guest's, but it was a challenge, so go hungry! 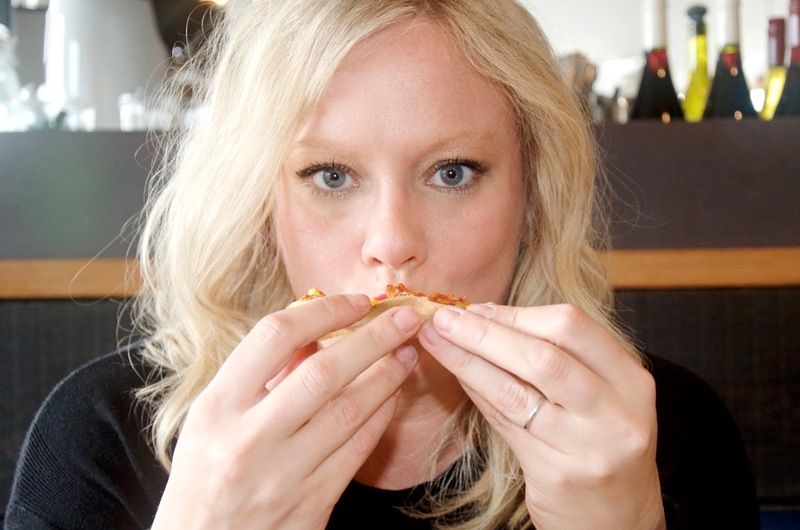 There's usually a pizza special that's available for a limited time only available and sure to impress, but if you're not into all the bells and whistles, I'm sure you'd be just as pleased with a Margherita. After pizza we were too stuffed for dessert, but The Stable offers a wide selection to soothe your sweet tooth. There's the regular dessert offering which includes a warm brownie with clotted cream, a caramelised apple & ginger cheesecake topped with pecan praline and a homemade apple & blackberry crumble. I'm a little regretful that I couldn't taste the Nutella Pizza Pudding with mascarpone and chopped hazelnuts - it sounds so unique and tasty! In addition to these there's a selection of ice creams made especially for The Stable from Yarde Farm. The flavours include chocolate chip, clotted cream vanilla, strawberries and cream, cinnamon crunch and the oh-so-appropriate Cornish Orchards cider sorbet. If sweets don't take your fancy, perhaps you'd be tempted by The Stable Cheeseboard which includes Dorset Blue Vinney, Rosary goats' cheese from Wiltshire and Wookey Hole aged cheddar from Somerset served with tomato chutney and Peters Yard sourdough crackers. With full bellies and tight belts, we simply ordered coffees from the list of various hot drinks available and they were absolutely delightful. 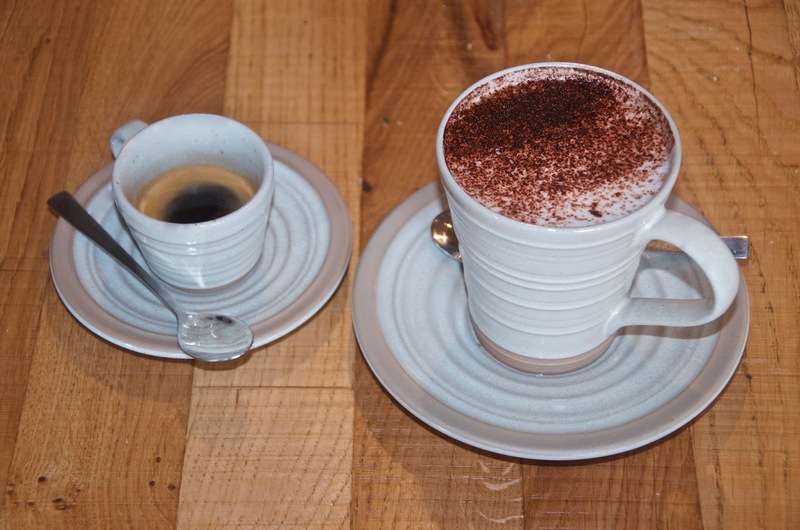 All of the coffee at The Stable comes from Clifton Coffee Company in Bristol. Hot and delicious, these little darlins were just what we needed after a healthy feed of carbs and cider! Of course there's also an impressive selection of teas, but even more enticing is the list of hot chocolates. The Hot Chocolate Orange with Cointreau, The Nutty Professor with Frangelico and the more tame, non-alcoholic (as far as I can tell) The Choc Chip, which sounds like a chocoholic's dream! Don't eat meat or dairy? No problem... The Stable has a pretty substantial Vegan menu which includes 4 pizza options, two salads and a vegan version of the garlic bread that's also available with vegan cheese if you're tempted. There are also gluten-free pizza bases available on request, so The Stable pretty much has the dietary bases covered. One thing that stood out about The Stable is its family-friendliness. It's just as suitable for a group of lads or friends as it is for a family with 5 kids. While we were there we dined alongside families with kids of all ages and it's the perfect place to dine out with your little ones. There's a comprehensive children's menu and you can relax with your drink & carbs while knowing there will be something your kiddos will enjoy as well! For anyone working in the Kew Bridge area, there are lunch specials available with pizzas for £7.50 and a selection of wraps for £6.50. 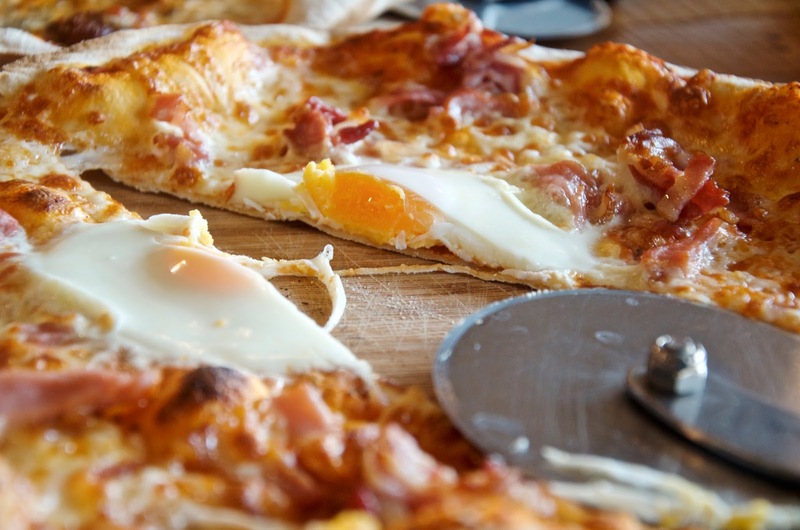 Additionally, The Stable has Tuck-in Tuesday offering you a choice from a selection of pizzas alongside a salad and a drink for just £10 every Tuesday after 5pm. Overall, I'm very impressed with The Stable. The service was friendly and efficient, the food was delicious and reasonably priced and the atmosphere can only be described as casually cozy. The staff is very willing to discuss and suggest options to accommodate any food allergies or intolerances and we found the recommendations on point. 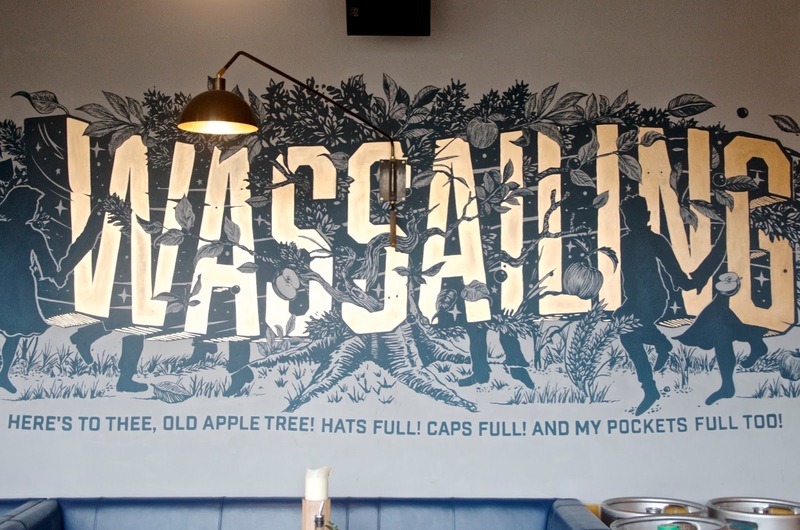 With several locations around England and two in London (Kew Bridge & Whitechapel), this burgeoning restaurant chain is switching up the cider & pizza game and serving up delicious West Country fare across the country. The Stable at Kew Bridge is easily accessible by trains from Waterloo stopping at the Kew Bridge stop. For more information or to plan your visit, check out stablepizza.com.